US Performer par excellence ‘Demetrius’ signs exclusive recording contract with India’s largest International Independent Record Label & Global Entertainment Co. W.O.A Records. July 2, 2009 - PRLog -- Goa, India – The W.O.A Artiste and Repertoire team has always discovered musicians & performers who are different in their musical styles especially when signing them to the exclusive and highly sought after roster of the W.O.A International label - W.O.A Records, This time the W.O.A A&R team has done it again with the signing of an artist who just cannot be defined by one genre. 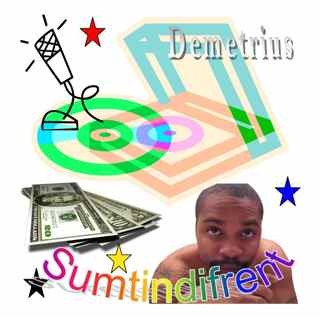 Record labels around the world usually frown upon non-Definition of a genre for an artist’s music, however with an artist as versatile as Demetrius all rules have changed. “As a performer this artist can hold on to an audience of any size and this is what the music industry is now grabbing on to – Artists who can perform and hold on to an audience not just for the duration of a 2 hour performance but hold on to them as fans for years to come” says Oliver Sean, Founder, W.O.A Records, “with the signing of Demetrius it is an unprecedented move as he doesn’t fit into one specific genre which is a blessing for venues and event organisers who can use an artist like Demetrius at various shows and events”. With the International infrastructure that Global Entertainment Company W.O.A International offers its artists through W.O.A Records, W.O.A Management, W.O.A Events and W.O.A Media Studios; Demetrius has all the support he needs now to break into the International music scene and prove that he truly is an International star that he dreams of being.